I purchased the router bit sets to make kitchen cabinets. The tongue and groove set works great for assembling the sides to the face frame, perfect match. the shaker raised panel is great as well. I had operator error problems at first, one call to Sommerfeld’s and problem solved. Marc Sommerfeld is the person that called me to solve my problem. That is what I call great customer service. 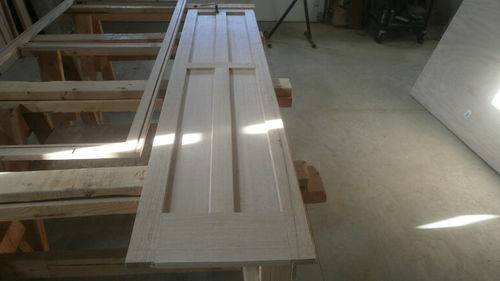 I will post pictures of the new kitchen cabinets when they are finished sometime in August. At least that is my goal. I have several of the Sommerfeld router bit sets. They have performed better than I would have expected. I would certainly purchase more router bits from Sommerfeld. Sounds like a good set. Please report back when you’ve completed the cabs and let us know how the edge holds up. The quality of the carbide and the quality of the grind appears to be the major difference between the Asian sets and the German/American sets, with reviews of the Asian sets often griping that they lost their edge after one job. Based on your photos and the box they came in, these look just like the Amana AGE series bits (which is their import line). Nice job on the panels, they look great. oh yeah! those things look sweeeeet! On their Tongue and Grove set I have ran over 100 liner feet of cedar, built 5 base cabinets for the shop and done over 40 trinket boxes out of Baltic Birch plywood. The set is holding up fine. On cheap plywood there was some tear out on cross cuts, but nothing more that I was getting with my Whiteside straight bit. For a while they had both a “hobbyist” grade and a “commercial” grade. I always bought the commercial grade. I don’t see the “hobbyist” grade listed on their web site now so maybe they dropped it. Thanks for the review. I’ll keep them in mind. I have purchased several bit sets from sommerfeld and can say that they have been amazing. I will also say that they seem to have a similarity to CMT. Even the catalogue from cmt and sommerfeld has word for word text, identical pictures, etc. not saying that I have evidence that they are yellow CMT product but seems to feel that way. The tool that they sell called easy set works for both CMT and SoMmerfeld. The easy bore tool I saw one identical that had CMT branding. The product is quality product. 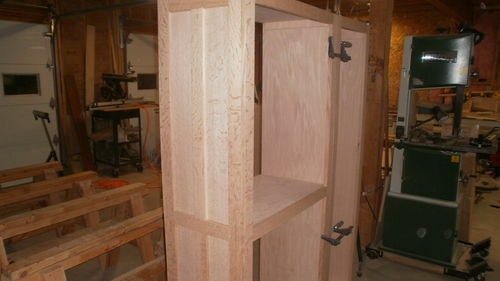 Your cabinet project is looking very nice. I have known Marc Sommerfeld for over 27 years now and he was very instrumental in my success at being a professional cabinet maker. I met him when he was demonstrating the kreg jig for his brother. When he ventured out into the world of router bit designing for CMT I continued using his products and I own almost all of his bits. Maybe that is why the yellow bits cut and feel so much like CMT as Marc build a set of cabinet making bits for CMT and they were so impressed with the bits that they put his name on them. The yellow sets are Marc’s designing and he has improved on the bits over the CMT ones by making the bits shanks the same length. 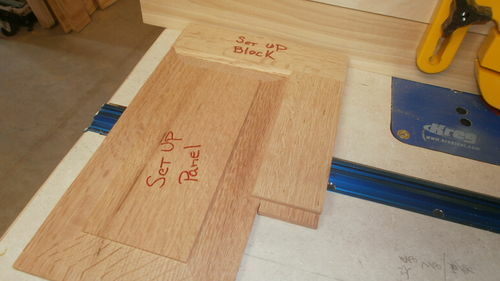 This way you only have to set the bit height once in the router table and all of the bits in that set will automatically be of the correct height. He also designed a new stile and rail cutting bits that cuts clean with out the chip out that most bits produce. The big router table that I just finished and posted here on Wood Jocks is one of his designs. I have owned and used many versions of table tops and to date this is the best and I doubt that you can find one better designed. His craftsmanship in designing this table is second to none. His beading system for beaded face frames are superior and very cost effective and actually faster and make beaded face frames easy. They are done on a table saw and a simple beading bit on a router table. I have built 2 beaded face frame dressers and will post one on here soon so you can see the beading his bits do. Marc has just released a new shutter door building set that makes two sizes of louvers on plantation shutters that as excellent and easy to use. Much better that the Rockler system. He has also just released a new catalogue in print and of course you can find his online catalogue at www.sommerfeldtools.com. Thanks for the review and good looking project thus far ! I have had them for yrs and love them. I have 4 sets and the EZ jig. Met him at a woodworking show and bought his videos as well. Great guy! I would say that it is Great Customer Service When the Man that puts his name on the tool is willing to call you and help you with an issue.